The Indian education system is often the subject of debate over outdated curriculum, rote learning, rising cost, poor quality of teachers and lack of infrastructure. On the positive side, our country boasts of world-class institutes such as the Indian Institutes of Management, Indian Institutes of Technology, All India Institute of Medical Sciences and Jawaharlal Nehru University. We are also one of the largest and oldest education systems in the world. Formal education in India is still based on a traditional model or brick-and-mortar classes. Students have to attend schools and colleges to complete their education. While this is the commonly accepted mode of formal education across the world, the education fraternity is opening up to online education or e-learning. Everything is going online. And, so is education. Online education goes beyond the realms of secondary, post-secondary and tertiary education. It also includes courses and modules for competitive exam preparation, professional skill enhancement, and other non-academic subjects. According to a report by KPMG, the size of India’s e-learning market was $247 million, comprising 1.6 million users in 2016. The market size is likely to grow eight-fold to $1.96 billion and the user base will grow six times to 9.6 million users by 2021. In fact, India’s e-learning market is the second-largest after the US, which is forecasted to exceed $48 billion by 2020. The number of Internet users is likely to reach 730 million by 2020, almost double from today’s 432 million. India may replace China to have the second-largest number of users after the US. India is also the world’s third-largest smartphone market with the number of users estimated to reach 369 million by 2018. Also, mobile Internet users will likely cross 300 million by the end of 2017 from 159 million users at present. The Internet offers huge accessibility to enrol for distance courses for the young demographic (15-40 years). They are the most active consumers of smartphones and the Internet, and it is they who will be looking for online learning modules to fulfil their educational requirements without having to move out of home, office or city, and spending exorbitantly. The Internet also makes diverse courses, degrees and certifications from around the world easily accessible to urban as well as rural, and mentally or physically restrained populations. A 2015 survey by the National Sample Survey Office reveals that there has been a 175% rise in the average annual private expenditure for general education (primary level to post-graduation and above) between 2008 and 2014. During the same period, the annual cost of professional and technical education increased 96%. Parents spend Rs 36,000 on secondary education in government schools for six years, and Rs 3,96,000 in private schools. If the kids are studying in boarding schools, the cost is close to Rs 18 lakh. Graduate and post-graduate degrees in engineering, medicine, science and commerce are very expensive. The aim of the government is to raise gross enrolment ratio to 30% by 2020. India will have the world’s largest tertiary-age population and second-largest graduate talent pipeline by the end of 2020. However, the existing educational infrastructure is not equipped to meet the additional requirements. E-learning can supplement the conventional model, and bridge the gap to a considerable extent. The government has launched several programmes such as ‘Digital India’ and ‘Skill India’ to spread digital literacy, create a knowledge-based society in India, and implement three principles ‘access, equity and quality’ of the education policy. In order to establish digital infrastructure, the government has also launched National Optical Fibre Network, which aims to expand broadband connectivity and create a fast network. The Indian job scenario is reeling under the twin pressure of layoffs and job paucity, especially due to automation and slowdown in the global economy. According to a World Bank report, automation threatens 69% of jobs in India. There have been massive layoffs in the IT, BFSI, telecom and manufacturing sectors, and people are being replaced by machine learning and artificial intelligence. The current unemployment rate is 5%, which is the highest in five years. With around 1 million Indians entering the workforce every month and India’s working age population expected to reach 64% of the total population by 2021, there is a dire need of job creation. However, a report by the United Nations Development Programme warns that India is likely to face job shortages in the next 35 years. It has been also found that 58% of unemployed graduates and 62% of unemployed post-graduates say that non-availability of jobs matching their skill and education is the primary reason for their unemployment. The existing formal degree courses taught in India do not impart ‘on-the-job’ skills. Owing to all these factors, both job-seekers and working professionals feel a need to gain, refresh or enhance their skills through career advancement courses. They feel that such courses could increase their chances of landing better jobs, switch jobs, get promotions, negotiate better pay packages and stay industry-relevant. Online career courses are affordable, give hands-on knowledge, can be completed in one-fourth the time than that of an offline course, and offer flexibility in terms of personal schedule. They can be done anywhere, anytime at one’s convenience. Online education is definitely has a bright future in India, but the journey is fraught with several challenges. While the government has been making efforts to create and improve a digital infrastructure across the country, there hasn’t been any noteworthy progress. According to the World Economic Forum, only 15 out of 100 households have access to the Internet, and mobile broadband remains for a privileged few, with only 5.5 subscriptions for every 100 people. Further, currently broadband reaches just about 600 corridors, largely in and around the top 50-100 Indian cities, leaving rural areas with poor connectivity. In traditional classrooms, student-teacher and peer-to-peer engagement are very high. Learners can approach the instructors and fellow students for feedback or discussions, and get their concerns addressed on-the-spot. E-learning is not yet developed to a level to stimulate open-ended or crowd learning, unless the courses are imparted live with the help of an online instructor. The lack of standardisation of online programmes and their formal acceptability still remain a concern. E-learning players offer multiple courses on the same subjects with different levels of certifications, methodology and assessment parameters. Online courses are designed and imparted by different instructors, who may be given autonomy to design the curriculum. So, the quality of courses may differ across different e-learning platforms. Most online courses do not get academic credits, credibility and recognition in the traditional educational eco-system. India is a multi-linguistic country, and a majority of the population comes from non-urban areas. The online courses mostly focus on English content. Hence, non-English speaking students struggle with the availability of vernacular content. Online courses are self-paced learning. There is minimum or negligible motivation due to lack of face-to-face interaction. Hence, the completion rate of online courses is very low. There will be a convergence of the online and offline education models. Online course providers will work actively to provide supplementary education, such as after-school coaching, e-tutorials, internships and live projects. They will also reach out to students at offline touch points like group discussions and labs. There will be virtual classrooms where traditional offline pedagogy will be aided by digital courses on practical knowledge and soft skills. Apart from popular subjects like data science, cloud computing, and digital marketing, the e-learning curriculum will offer courses in unexpected subjects such as culinary management, forensic science, cyber law, etc. In order to make learning more interesting, competitive and rewarding for academic students and professionals, the digital courses will incorporate features such as badges, discounts and leader boards. Corporates, educational institutions and e-learning platforms will come together to co-develop content. E-learning providers will develop a peer-to-peer model to establish collaborative learning between students through notes and idea sharing on a common platform. Technology such as artificial intelligence, big data, data analytics, facial recognition, etc., will be used to offer profile-based customised courses. Over the last three years, there have been several large-ticket deals in the Indian e-learning sector. The Chang Zuckerberg Initiative invested $50 million in Byju’s, Bertelsmann India has put in $8.2 million in Eruditus, and Kaizen Management Advisors and DeVry Inc. have invested $10 million in EduPristine. Not to forget Khan Academy, which has so far received financial support from the Bill and Melinda Gates Foundation, Google and Netflix founder Reed Hastings. So, the sector will continue to spark more interest among investors and attract funding. E-learning has a promising future; it could be on its way to becoming the next sunrise industry. However, it is highly unlikely that it will replace traditional learning; rather both models will work in tandem. The trio of content, delivery and access will act as a change-agent in shaping online education. 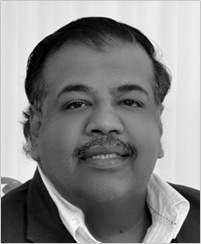 Sanjay Bansal is founder and managing partner at investment banking firm Aurum Equity Partners LLP.